View More In Road Bikes. If speed is the name of your game, then you need a bike that's nimble and agile and built to go fast. 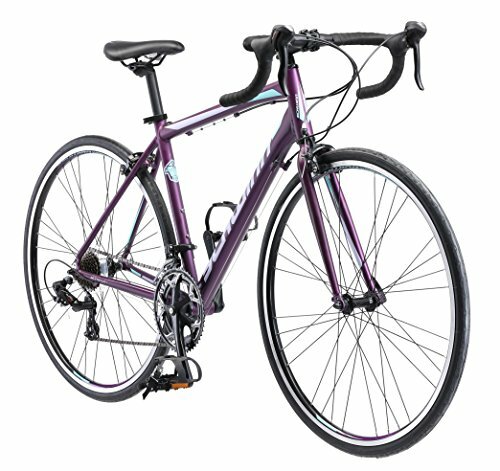 Introducing the 700c women's volar 1400 by Schwinn, a speedy, light road bike that's sure to quench your need for speed. The light Schwinn aluminum road frame pairs with the steel road fork for agile riding, aided by the lightweight handlebar, stem and seat post componentry. Braking is crisp and shifting is smooth thanks to the Shimano 14-speed integrated shifter/brake lever combo and front and rear Shimano Derailleurs. Oversized Schwinn road tires keep things fast and smooth, while the alloy double wall rims keep the bike durable and the ride enjoyable. Like all Schwinn bikes, the volar 1400 comes with a limited lifetime warranty for as long as you own the bike. Enjoy the freedom of riding a Schwinn. If you have any questions about this product by Schwinn, contact us by completing and submitting the form below. If you are looking for a specif part number, please include it with your message.